Are you looking for an Ocado discount code, Ocado voucher code, Ocado deal or sale? On this page our community of bargain hunters share the best in the UK. 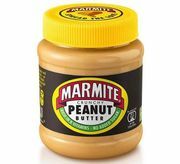 Marmite Peanut Butter is Coming! Ocado is a UK-based online supermarket founded by Jonathan Faiman, Jason Gissing and Tim Steiner in April 2000. The company was launched in January 2000 as a concept and began trading as a business in partnership with Waitrose in 2002. Unlike its competitors like Tesco and Sainsbury’s, the company has no chain of stores and does all home deliveries from its warehouses. Since 2010, Ocado has been voted by readers of Which? As the best online supermarket in the country. Today, Ocado.com is one of the leading dedicated online grocery retailer with more than 580,000 active customers shopping with them. Their objective is to provide their customers with the best possible shopping experience in terms of service, range and price, which creates a powerful business and delivers a long term value for their shareholders. In order to create their pioneering online shopping and fulfillment business model, they designed their very own proprietary solutions from scratch without any blueprint to follow. They have developed an exclusive end-to-end operating solution for online grocery retail based on proprietary technology and IP, suitable for operating their own business as well as for their commercial partners. Get even more value for your money here at Latest Deals, we have the best and the latest Ocado.com vouchers, coupons, sales and discounts posted each month by our massive community of bargain hunters! Why go to the supermarket when they can bring the supermarket to you? With over 30,000 products, that can be delivered straight to your kitchen, it's time to discover Ocado.com. "The website is easy to use, and best of all, they have a section under offers, and you can see everything that is available, making it really easy to save money. Every driver we have had to our home has been exemplary in their care and attention to delivering the goods and being courteous - Cannot recommend Ocado highly enough." - Deborah M.
Ocado’s offerings include their own brand groceries from the Waitrose supermarket chain as well as their own Ocado brand, but also a selection of name brand groceries and other items, including flowers, toys and magazines. A range of Carrefour's products are also sold via Ocado. What is the relationship between Ocado and Morrisons? Since 2014, Ocado has fulfilled Morrisons online deliveries. It is a commercial partnership. When you order food and other items from Morrisons.com and have it delivered to your home, it comes from Ocado’s Dordon Customer Fulfilment Centre (CFC) in the Midlands. In 2014, Morrisons paid up to £170 million to acquire the CFC, but still pays an annual contribution towards licensing and research and development. If you have a problem with your Ocado delivery, you should always contact the company via Ocado website or telephone number - and if you're shopping via Morrisons you should always contact via the Morrisons website and telephone number. How do I contact Ocado? You can tweet them - Ocado. They answer questions 8am - 9pm every day, but be careful not to post personal information publicly. You may email them at ocado@ocado.com. You can also use their Online Contact Form for any other enquiries or questions you have in mind. You can call Ocado on 0345 656 1234. Lines are open from 8am - 11pm every day of the week. And see here for more contact information on the Ocado website. What are the delivery options for Ocado? Do your food shopping online at Ocado.com. Their trusted drivers will carry groceries, wine, toys, flowers, homeware and more to your kitchen table in a one hour slot. Orders £75.00 or more are free of charge. For orders below £75.00, there is a minimum charge of £2.99 and a maximum of £6.99. The value of the trolley needs to be over £40.00 to be able to checkout your order. Maximum of one delivery per day (however different conditions apply during Christmas week 20-24th December). When you've logged in, just hit the “Book a delivery” button on the home page of our website or app. It is recommended to book a delivery first, so when you start shopping they’ll see what's in stock and available for your delivery. Your chosen delivery slot will be reserved for 60 minutes, but it will expire if you don't check out within that time. If your chosen delivery does expire, you'll need to reserve the slot again or possibly book a new one. How do I return an item to Ocado? If you’re not happy with a non-perishable item, they’ll gladly refund it, simply contact their Customer Service team as soon as possible. You can call them on 0345 656 1234 or email ocado@ocado.com. They will go through all your options with you and arrange for your refund and return. While they don’t offer exchanges, you’re more than welcome to reorder any refunded item on your next Ocado shop. When your delivery arrives, your driver will go through your order with you. If there’s anything you’re not happy with, simply hand it back and your bill will be instantly recalculated. If you change your mind about a product after your driver has left, just call their friendly Customer Service team on 0345 656 1234 to discuss your options. You can request a refund on any product from these categories – just drop their Customer Service team a line. Make sure to return these products with their original packaging and tags (if applicable). If a product has a hygiene seal, do not remove this seal until you’re sure you’re keeping the item. They will refund any product from these categories, provided that you contact their Customer Service team, and that the item’s packaging is intact. Unfortunately they cannot accept returns of DVDs, CDs, or Blu-rays that have been unsealed.